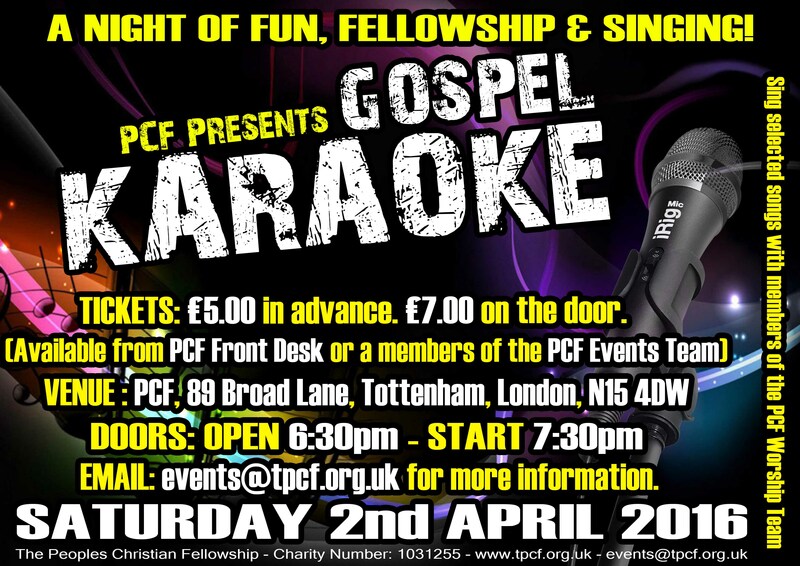 PCF Hosts it’s first Gospel Karaoke evening on Saturday 2nd April. It’s been held at Springfield Hall. Why not join us to sing some of your favourites! Contact the PCF events team (events@tpcf.org.uk) for tickets or come to the front desk.